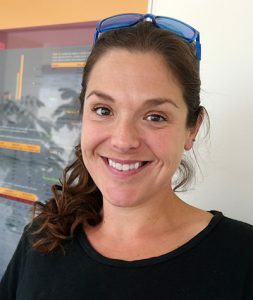 Dr. Kennedy’s current research focuses on using satellite telemetry data to describe large whale habitat use in breeding and feeding grounds, but she continues to participate in, and train other researchers on, all aspects of large whale research. Kennedy AS, Zerbini AN, Vasquez OV, Gandilhon N, Clapham PJ, Adam O. (2013) Local and migratory movements of humpback whales (Megaptera novaeangliae) satellite tracked in the North Atlantic Ocean. Canadian Journal of Zoology: 8-17. Kennedy AS and Clapham, PJ. (2017) From Whaling to Tagging: The Evolution of North Atlantic Humpback Whale Research in the West Indies. Marine Fisheries Review (in press).